to help Oberlin chart a course that reinforces our existing strengths, offsets vulnerabilities, and invents new capabilities and capacities for the future. The process was conducted by a Steering Committee that was co-chaired by President Marvin Krislov and board member Diane C. Yu. Its members included faculty, staff members, students, Oberlin trustees, and alumni. As that group began its work, it revisited Oberlin’s mission statement and core values and reviewed Oberlin’s last strategic plan, approved in 2005. Foster academic and musical excellence in an equitable and inclusive educational environment. Develop the residential experience to ensure that it serves as an intellectual and artistic incubator for educational excellence. Define and set in motion the necessary steps to achieve sustainability—educational, financial, and environmental. Each of these directions has specific recommendations associated with it. A list of all of the recommendations is included in the Appendix. Collectively, these recommendations map out a strategy that is far-ranging and comprehensive—a path that carries forward the best of Oberlin’s past and present, and points us toward the Oberlin of the future. 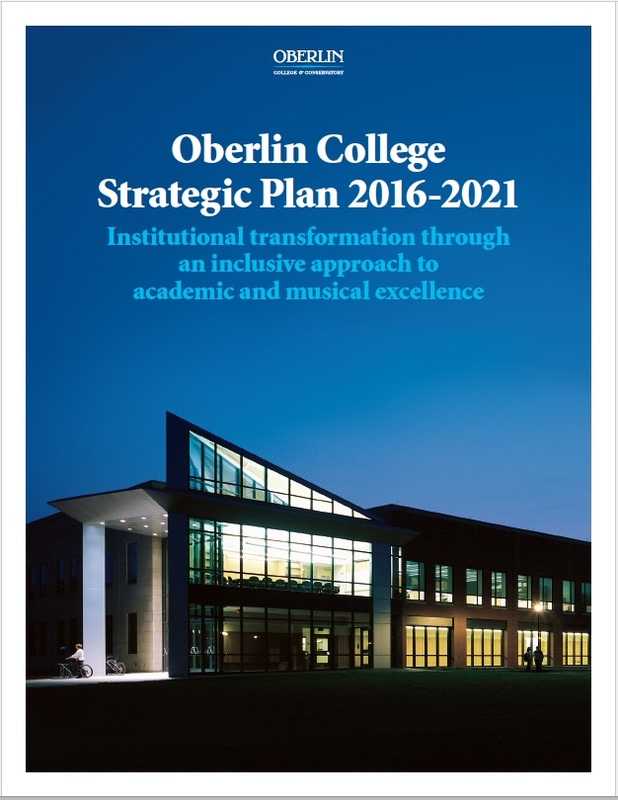 The Oberlin College Strategic Plan 2016-2021 was approved by the General Faculty on February 24, 2016 and by the Board of Trustees on March 4, 2016.